In this conversation with acclaimed herbalists and authors, Julie Bruton-Seal and Matthew Seal, we discuss the ease and necessity of making herbal remedies from your garden and kitchen, taking care of ourselves in our busy, modern lives and looking at the forgotten yet highly beneficial plants in our countryside. Julie and Matthew are the authors of the best-selling herbal remedy books 'Hedgerow Medicine' (US Version: Backyard Medicine), Kitchen Medicine and The Herbalist's Bible. 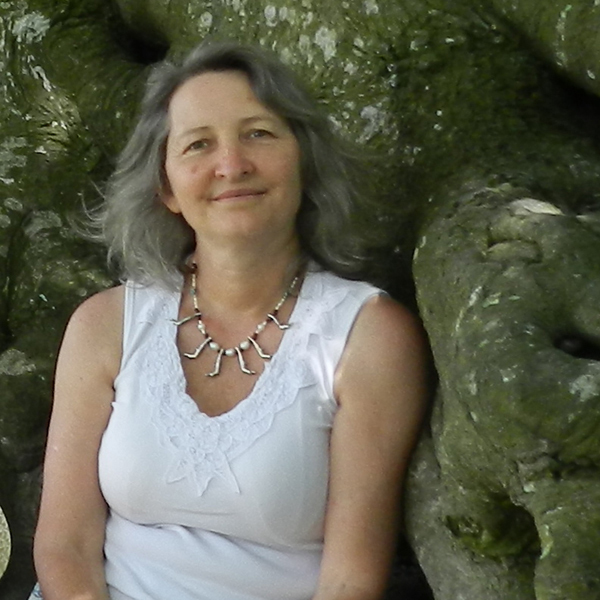 Julie Bruton-Seal is a practising naturopathic herbalist, iridologist and natural healer. She is a Fellow of the Association of Master Herbalists (AMH) and is currently chair of the Herbal History Research Network. Julie was also editor of Nature's Path and The Herbalist magazines for many years, and was one of the founding organisers of HerbFest, an annual gathering celebrating healing plants and herbal medicine. She is also an artist, photographer, jeweller, gardener and writer, and has worked as a graphic designer. She co-authored the vegetarian cookbook Vegetarian Masterpieces. Her photographs have been widely published in books and magazines, including National Geographic, and she has worked as a wildlife illustrator and artist for many years, holding a number of exhibitions. She illustrated the children’s book When Elephant was King. She has lived in several countries, and is the daughter of renowned wildlife film-makers Des and Jen Bartlett, with whom she won an Emmy in 1993 for Survivors of the Skeleton Coast. His first recorded proper words (according to his mother, who wouldn’t exaggerate on such a matter) were ‘meadowsweet’, uttered on a nature walk in the River Trent marshes when he was nearly three. Matthew Seal grew up in a family of gardeners and botanists and, while not following his kinfolk into professional gardening or horticulture, he has never forgotten this early ‘greening’. He has worked as an editor and writer in books, magazines and newspapers for over thirty-five years, in both the UK and South Africa. He is author of Survive and Thrive in the New South Africa. In addition to his ongoing freelance editing, he has experience in design and as a production manager for a radical publisher. He was for three years revise subeditor of Business Report, the largest-selling business daily in South Africa, and he was publications director of the Society for Editors and Proofreaders (SfEP).